Highlight holidays and special days with stylish tabs that easily slide into the calendar. 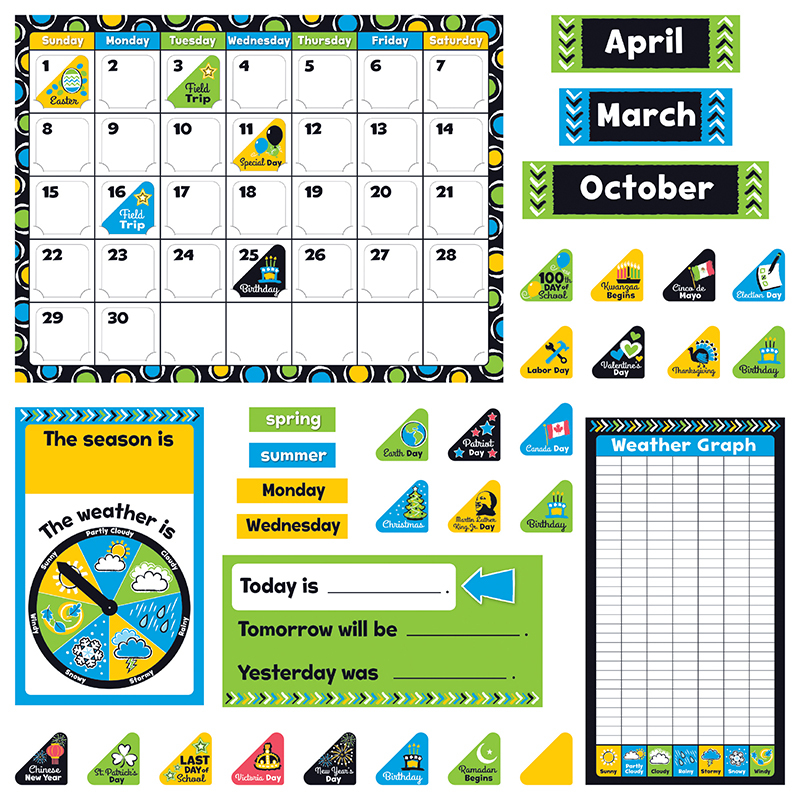 Includes 17.5" x 23.25" calendar, 12 month labels, 7 days of the week labels, 4 seasons labels, season/weather chart, 33 date markers, 44 holiday/special day markers, Today/Tomorrow/Yesterday chart, weather graph, and 2 arrows. 106 pieces. 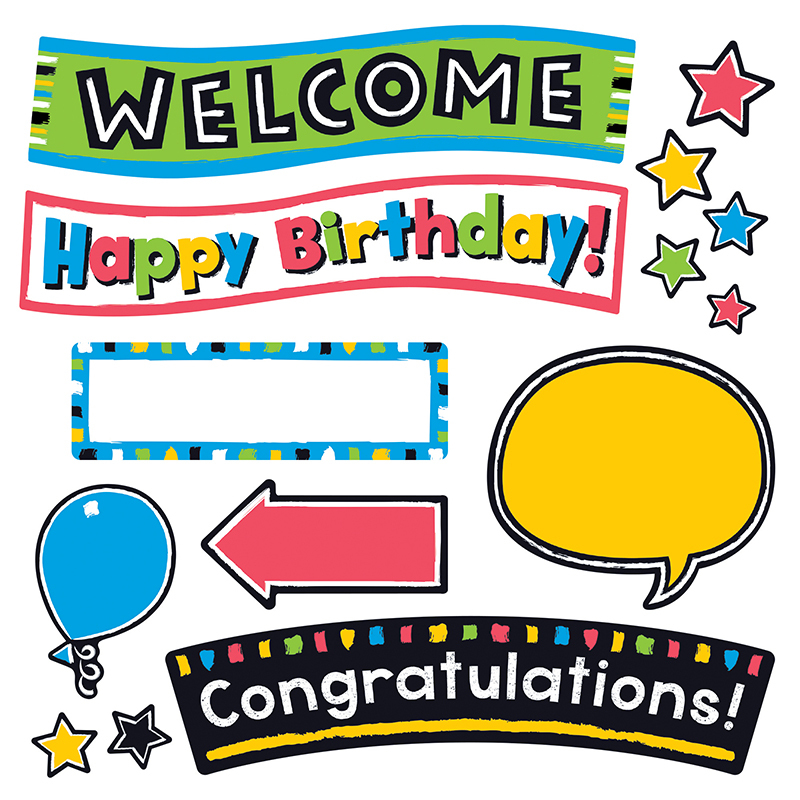 Includes a Discovery Guide with creative activities that teach and delight. 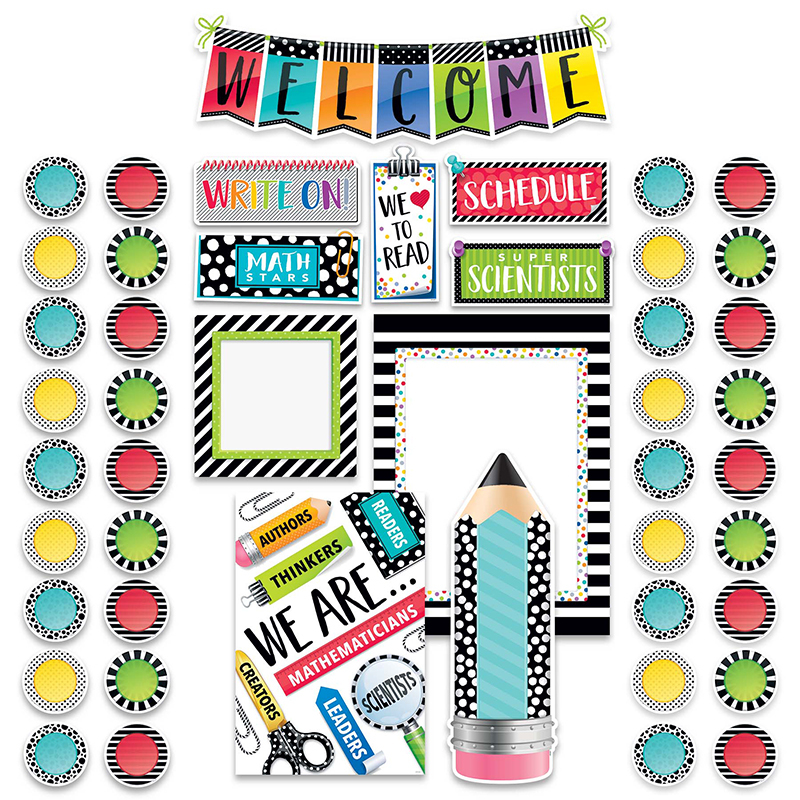 The Bold Strokes Calendar Bbs can be found in our Classroom Theme product category within the Bulletin Board Sets.